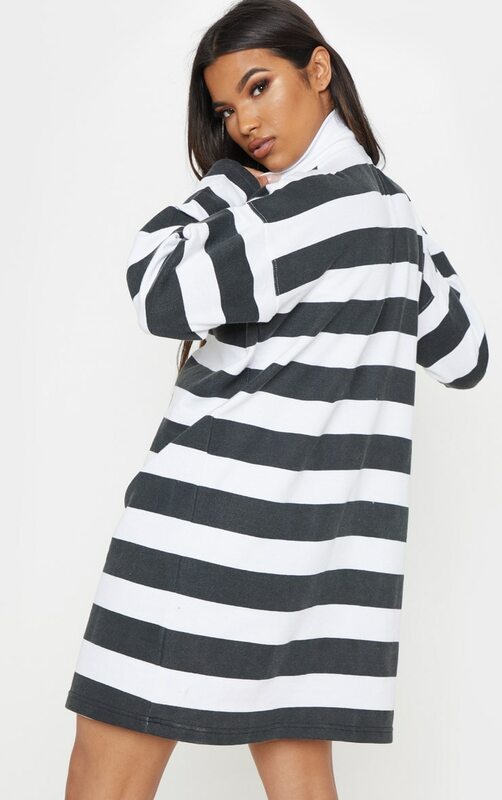 Stripes are bang on trend right now and we are obsessing over this killer jumper dress. 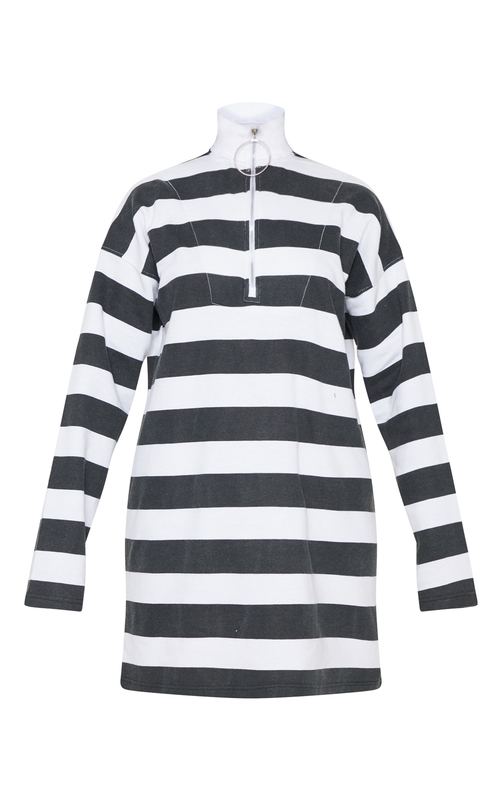 Featuring a monochrome striped fabric with a ring zip detail, long sleeves and loose, jumper dress fit. 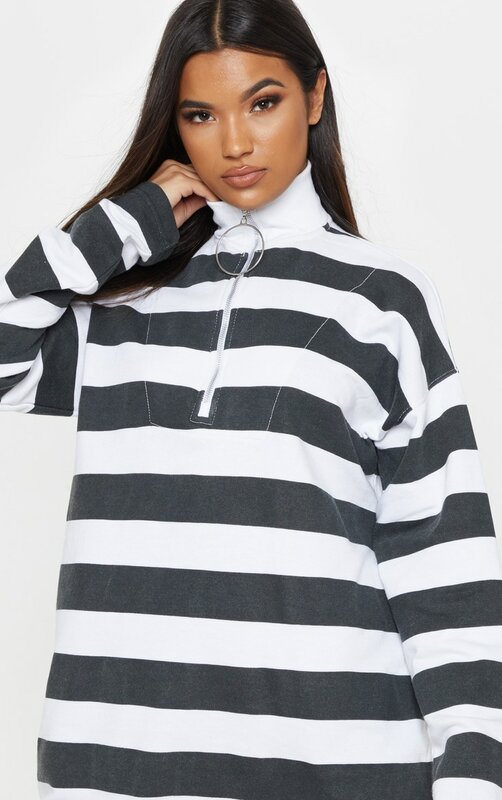 Team with chunky white boots and finish off the look with a cool cap.